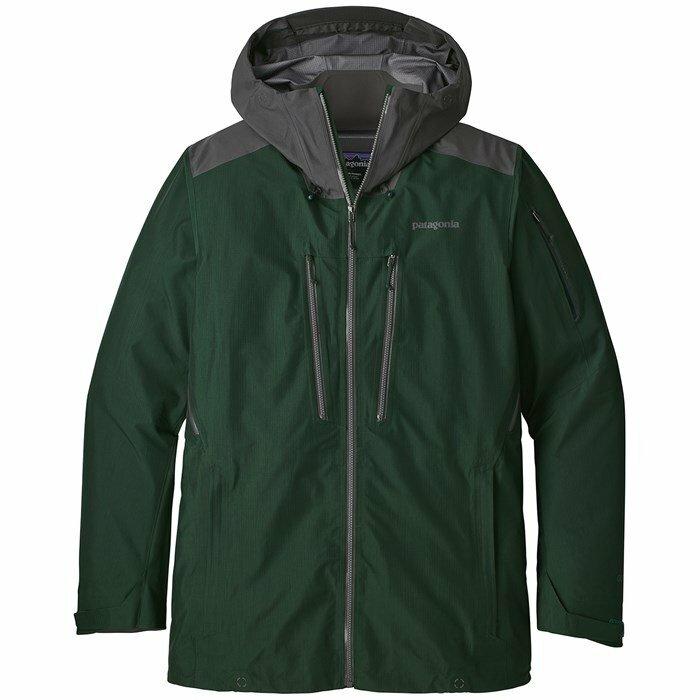 If you're feeling bogged down by your bulky insulated jacket, there is an easy way out; the Patagonia PowSlayer Jacket. With its incredibly lightweight design and supreme waterproof/breathable protection, the PowSlayer jacket pulls double duty as a backcountry and inbounds shell with ease, and is also Patagonia s first ever Gore Pro option built with recycled fabric. The GORE-TEX Pro membrane truly shines when the weather takes a turn for the worse, while the balanced fit and dialed pocket placement make the Patagonia PowSlayer Jacket one heck of a winter shell for the demanding winter athlete. GORE-TEX Pro Membrane  Features the latest GORE® technology with a patent pending 100% ePTE-base multi layer membrane bonded between the outer shell and inner liner; it features greater breathability and the most durability fabric package. The membrane is backed with an updated Gore Micro Grid Backer fabric that's super thin, very strong and keeps you dry from the inside out. The bonded construction improves durability by protecting the garment from harsh elements inside and out as well as provides a broader range of comfort. 15D GORE® Micro Grid Woven Backer  This technology improves garment comfort and performance using an innovative patent-pending thin, low-denier, low-density woven backing fabric. This technology improves internal abrasion and snag resistance, allowing it to easily slide over layers while also enhancing garment breathability and decreasing weight. Regular Fit  Neither slim nor oversized, regular-fitting technical garments may be worn over heavier midlayers.